On the 4th (Thu), explore the wealth of natural beauty at Wicklow Mountains National Park. Here are some ideas for day two: take in nature's colorful creations at Powerscourt Gardens and House, then see the interesting displays at National Maritime Museum of Ireland, and then enjoy the sand and surf at Killiney Beach. To find reviews, other places to visit, traveler tips, and other tourist information, refer to the Dun Laoghaire tour planner. Dublin to Dun Laoghaire is an approximately half hour car ride. In May, daily temperatures in Dun Laoghaire can reach 17°C, while at night they dip to 7°C. Finish up your sightseeing early on the 6th (Sat) so you can travel to Malahide. Malahide is an affluent coastal suburban town outside Dublin city in Fingal, Ireland. 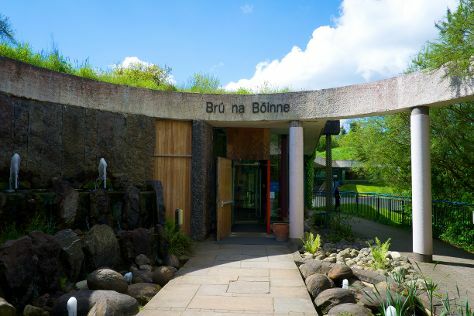 Start off your visit on the 6th (Sat): take in the architecture and atmosphere at St Peter's Church of Ireland, see the interesting displays at Irish Military War Museum, and then contemplate the long history of Bru na Boinne. Get ready for a full day of sightseeing on the 7th (Sun): step into the grandiose world of Malahide Castle Co. Dublin and then explore the historical opulence of Malahide Castle. To find ratings, where to stay, maps, and other tourist information, read our Malahide itinerary maker. Getting from Dun Laoghaire to Malahide by car takes about an hour. In May, daytime highs in Malahide are 17°C, while nighttime lows are 7°C. Wrap up your sightseeing on the 7th (Sun) early enough to drive to Dublin. Museum-lovers will get to explore Croke Park Stadium Tour & GAA Museum and National Museum of Ireland - Archaeology. Deepen your sense of the past at sights like Clonmacnoise and Kilmainham Gaol. You'll find plenty of places to visit near Dublin: Trim Castle (in Trim) and Kilkenny (Kilkenny Castle, The Black Abbey, & more). Next up on the itinerary: take a stroll through Temple Bar, take in the spiritual surroundings of St. Michan's Church, enjoy the sand and surf at Seapoint Beach, and take in the architecture and design of Trinity College Dublin. To see photos, reviews, ratings, and tourist information, go to the Dublin itinerary maker. Dublin is just a stone's throw from Malahide. May in Dublin sees daily highs of 17°C and lows of 7°C at night. Finish your sightseeing early on the 13th (Sat) so you can travel back home.